Agriculture uses approximately 70% of the world’s freshwater supply. Agricultural water use is under growing pressure as demands for water increase; competition among cities, farmers, and the environment grows; and as concerns grow over large-scale overdraft of groundwater and water contamination from agricultural runoff. New threats include the challenges of climate change, which is likely to alter both water availability and agricultural water demands. In the twentieth century, the primary objective of water policies was to simply make more “new” water available for human use. In this traditional paradigm, the best measure of success was total water delivered or used. Yet, total water use is now understood to be a poor indicator of the value or productivity of water, and a poor indicator of true efficiency. New thinking suggests that greater emphasis is needed on the goods and services provided by that water use, e.g., water-use efficiency and productivity. The Pacific Institute has produced a series of studies that address improving the water productivity of agriculture, including: Sustaining California Agriculture in an Uncertain Future; Water-Use Efficiency and Productivity: Rethinking the Basin Approach; and Potential Water Savings Associated with Agricultural Water Efficiency Improvements: A Case Study of California. 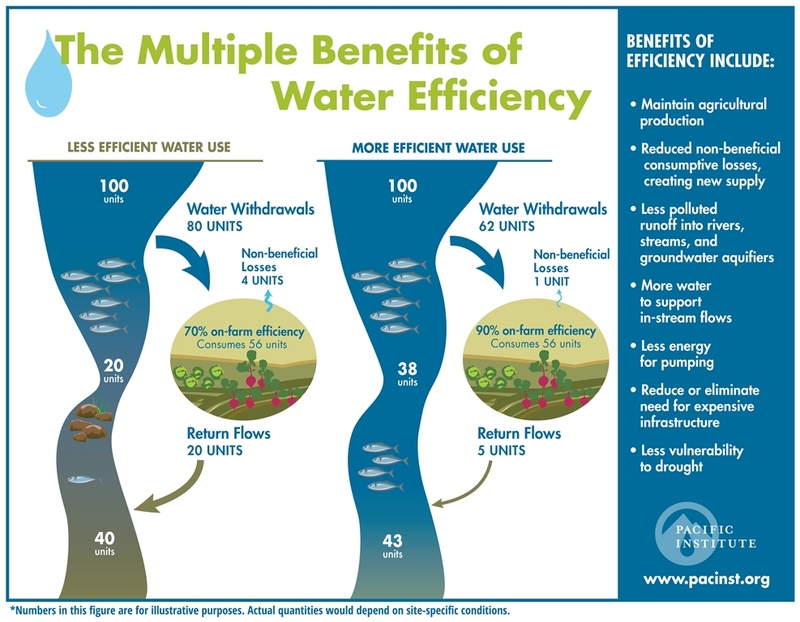 Work on the considerable untapped potential to save water in the face of the California drought highlights Agricultural Water Conservation and Efficiency in California, and a fact sheet and infographic illustrate The Multiple Benefits of Water Efficiency for California Agriculture. Many farmers have already adopted innovative water management strategies. The Institute seeks out those individuals, organizations, and institutions that are interested in collaboration, shared learning, and the identification and testing of innovation. As part of this effort, we identify and evaluate farm water “success stories,” and present case studies and videos that share these practices. In addition, the Pacific Institute has partnered with the California Roundtable on Water and Food Supply to develop an interactive database of sustainable agricultural water management practices at www.agwaterstewards.org. The database is searchable by region, crop type, and irrigation technique to help farmers find context-appropriate solutions. The agricultural sector is particularly vulnerable to climate change because it is directly tied to land and water resources. Even modest changes in temperature and precipitation patterns, the length of growing seasons, or the frequency of extreme events will have large consequences for many farmers. The Pacific Institute has conducted a number of studies on the impact of drought on California, including its agricultural sector. In addition, the Institute is working on how to help farmers understand and plan for climate impacts at the local level. Strong partnerships are key. 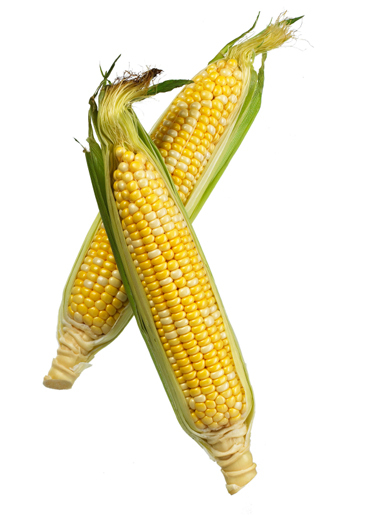 The Institute works with others to build knowledge and effective strategies for policy by actively participating in a number of stakeholder-driven processes, including the Agricultural Water Management Council, California Roundtable on Water and Food Supply, and the California Department of Water Resource’s Agricultural Stakeholder Committee. Over the next three decades, threats to water and food security will grow as the global population continues to climb, dietary preferences change, and the climate becomes more variable. The Pacific Institute conducts research and works with innovative agricultural partners to identify ways to ensure clean water and sufficient food for current and future generations.